Did you know that over 1.66 billion people worldwide bought products and services online in 2017? And the number of worldwide digital buyers is expected to reach 2.14 billion by 2021. This suggests that more people are choosing to buy online, giving a boost to the ecommerce marketplace. Some of them choose to buy online for convenience, while some get attracted to the competitive rates offered by many ecommerce businesses. However, you can’t be successful simply by putting your products online and hoping for the best. It takes a lot of time and effort to develop successful ecommerce strategies that can boost your sales. 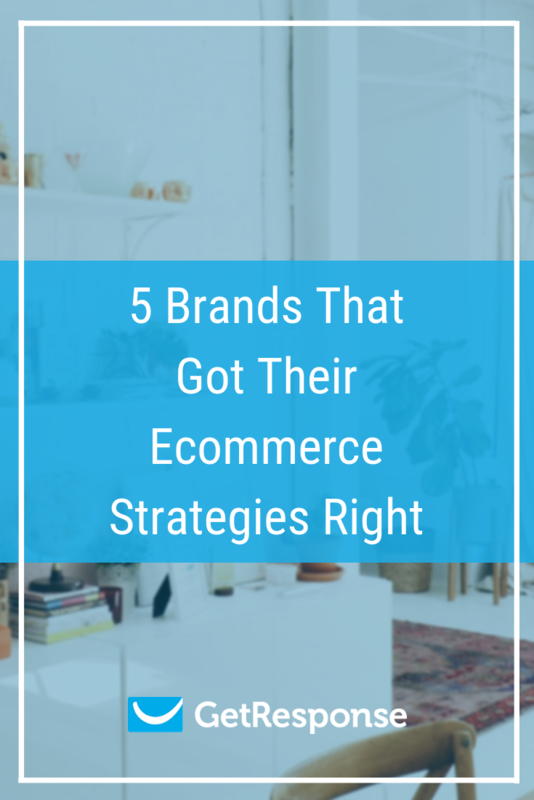 In this post, we’ll take a look at some of the most successful ecommerce strategies and brands that are using them successfully. As people become increasingly open to shopping online, it’s a good sign for all ecommerce businesses. You can make the most out of this by using effective ecommerce marketing strategies. Personalization: Consumers expect brands to treat them as individuals. In fact, 90% of people in the United States said that they find personalized content quite appealing. Consistency across channels: Consumers also expect you to maintain consistency in your interactions with them across all online and offline channels. Successful brands utilize omnichannel strategies to offer the same customer experience on all channels. Branding on social media: 60% of people say that they take social media posts into consideration when they make a purchase decision. Effective use of social media can enhance your ecommerce marketing ROI. Make sure that you interact with your audience on social media, showcase new products, and offer discounts. You can also use social media platforms, especially Twitter, to deliver exceptional customer service and build loyalty. Mobile commerce: The increasing use of mobile devices has led to the popularity of mobile commerce. During the fourth quarter of 2017, 24% of all ecommerce spending in the United States came from mobile devices. Consumers not only buy with their mobile devices, but also use them to track delivery, compare prices, read reviews, and search for coupon codes. So along with a mobile-optimized site or shopping app, implement successful ecommerce strategies that are mobile-focused. Influencer marketing: Influencers are followed by a large number of people who trust them. They can help make you visible to their audiences and get them to buy from you. You should find relevant influencers in your niche and partner with them to showcase your products, reviews, and drive greater sales. Many brands and marketers use the successful ecommerce strategies above to promote their products. You can also utilize them to reach out to new audiences, engage them, and convert them into your loyal customers. To help you understand how to use successful ecommerce strategies for your business, let’s take a look at some of the best examples. These five brands nailed their marketing strategies to grow their ecommerce businesses. ASOS is an online fashion brand which keeps introducing fresh, creative marketing strategies. Most of their successful ecommerce strategies encourage customer participation. Being a visual brand, they consider Instagram to be their most important social network. Their Instagram account has 400 million followers with 90% of them under 35-years-old. ASOS found that styling advice from fashionistas and other customers can be an inspiration to their audience. Capitalizing on this idea, the fashion brand launched their #AsSeenOnMe campaign. In this campaign, they asked customers to post pictures of themselves with ASOS products. This campaign provided their customers a chance to show off their fashion sense and creativity to the world. The idea became a huge success with about 124K #AsSeenOnMe looks posted within just seven months (Jan 2016 – July 2016). It helped them grow their brand value as well as their customer base. In fact, the campaign was such a hit that it is still running pretty much on auto-pilot. That’s not all. In another creative campaign, ASOS made clever use of Instagram Stories. They posted Stories with young men and women having fun – in a pool, playing basketball, hanging out at home. The video ended with a message that says, “ASOS: Next Level You.” With this campaign, the brand focused on celebrating an individual’s style. The video led to a 7-point increase in ASOS’ brand awareness in the US. Dollar Shave Club is a Venice, California-based company that delivers razors and other personal grooming products. It is kind of a razor subscription service where they provide you with razor blades on a monthly basis. Since their concept was out-of-the-box, they took to video marketing to make their audience understand it. The company CEO, Michael Dubin, himself developed several promotional videos, the first one of which went viral. It received nearly five million views within the first 90 days of its launch. The DSC team has launched several different video marketing campaigns since then. They constantly look for new stories to tell, and to which customers. Then they find the most successful ecommerce strategies and platforms to do so. What gives their campaigns an edge over others is that they know their target audience. DSC took to discussing men’s grooming products in a voice that’s relatable to their audience. This was perhaps the first time something like that happened. And it gave their brand a boost. Today, not just men but many women are also aware of the brand. Sometimes women too choose to gift DSC’s subscription service to men in their lives. Other than videos, DSC also creates impressive graphics related to men’s grooming. The brand drives a lot of engagement by providing value to their customers. When you understand your audience, get creative, and create content that can captivate them, your job as a marketer is done. Envelopes.com is a leading online business that delivers a wide selection of envelopes in different sizes, styles, and colors. They ensure that every customer finds an ideal product that fits their taste and unique needs. The company’s marketing team reviewed their website data. They realized that their ecommerce site gets many visitors who visit multiple times before making a purchase. Thinking about successful ecommerce strategies for their business, the team decided to target the people who left their sales funnel halfway. 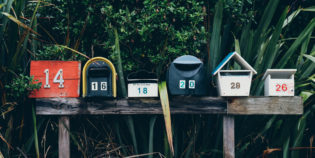 They launched creative direct email marketing campaigns to encourage these multiple-visit shoppers to return to their site. Product category abandonment: People who visited a product category page but didn’t add anything to their cart. Shopping cart abandonment: People who added products to their cart but didn’t visit the checkout page. Checkout abandonment: People who reached the checkout page but abandoned. This turned out to be one of the most successful ecommerce strategies for their business. Envelopes.com was able to cut down their checkout abandonment rate by 40% in two years. This resulted in a 65% increase in their checkout conversions. The company regularly tests their emails for performance to make sure that they align with their successful ecommerce strategies. They further work on optimizing their emails to improve results. Glossier, a skincare and beauty products brand, believes in gaining recognition first. The primary focus of their successful ecommerce strategies is to increase brand awareness. The brand wants people to remember and trust them. They believe that people will only buy their products if they do so. However, it’s not easy to get people to recognize your brand. In the age of smartphones, the average attention span of humans has been drastically reduced to just 8 seconds. To leave a lasting impression in the minds of their target audience, Glossier used a distinctive shade of pink for their branding activities. Instead of focusing on their products, they focused on other objects in that particular shade of pink. They created a custom hashtag (#glossierpink) for their posts which made their audience notice and remember their brand. Their #glossierpink campaign turned out to be one of their successful ecommerce strategies. Now, pink has become synonymous with their brand. Glossier’s fans use their #glossierpink hashtag whenever they see the color in their everyday life too. Along with associating their brand with a color, Glossier also shares content that caters to their consumers’ everyday problems. They share tips on the best ways to use different skincare and beauty products. For example, in a video posted on Instagram, the brand helped their users learn the art of wearing Lidstar. This suggests that you should not focus only on your products for branding. Create useful content that can provide value to your audience. Or, come up with ways that compel users to remember your brand. Nike is one of the most popular footwear, apparel, and equipment brands in the world. 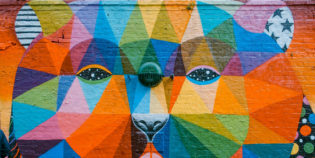 Instead of asking users to create fresh content for them, the brand focused on making user-generated content submission more fun for their followers. Nike launched a PHOTOiD campaign by asking fans to repurpose the content they already had and loved. The campaign allowed users to design, share, and buy custom Air Max shoes inspired by their own Instagram photos. The brand encouraged users to upload their favorite Instagram photos. Fans used Nike’s PHOTOiD tool to design shoes that used colors from the photos they had uploaded. This creative social media campaign got an amazing response and huge participation. It was extremely exciting for many users, who spent hours designing their own Air Max shoes. Users then shared their customized shoe pics with the #airmax hashtag. Nike also allowed them to buy their new personalized pair of shoes. It was one of Nike’s most successful ecommerce strategies with about 100,000 shoes created in the first week. Also, 8% of users actually clicked through to buy the shoes they had designed. Getting your ecommerce strategies right requires you to set a goal, choose the best channel, and see which strategy best aligns with it. As an ecommerce brand, you can also utilize these successful ecommerce strategies to promote your products. They can go a long way to help your business grow and flourish. What strategies do you use to promote your ecommerce store? Do you know of any other brands that got their ecommerce strategies right? Let us know about them in the comments below. Author: Brian Mechem, the COO and Co-Founder of Grin, a software solution for companies who run influencer marketing programs. Grin’s software powers some of the best influencer programs in the world, providing insights on ROI and adding efficiency to the influencer marketing process.